NORMAN, Okla. — Dorial Green-Beckham will not be allowed to play for Oklahoma this season after the NCAA denied the school’s request for a waiver that would have made the talented receiver eligible to play right now. NORMAN, Okla. — Former Missouri receiver Dorial Green-Beckham is now an Oklahoma Sooner. Green-Beckham was dismissed by Missouri in April. Coach Bob Stoops announced Thursday that Green-Beckham was added to the Sooners’ roster after signing a financial aid agreement Wednesday. He can immediately enroll in classes and begin team activities. He would be eligible to play beginning in 2015. Green-Beckham caught 59 passes for 12 touchdowns as a sophomore last season at Missouri and was one of the top prospects in the nation when he signed with the Tigers. He was dismissed after being charged in October 2012 with marijuana possession in Columbia and later pleading guilty to trespassing. 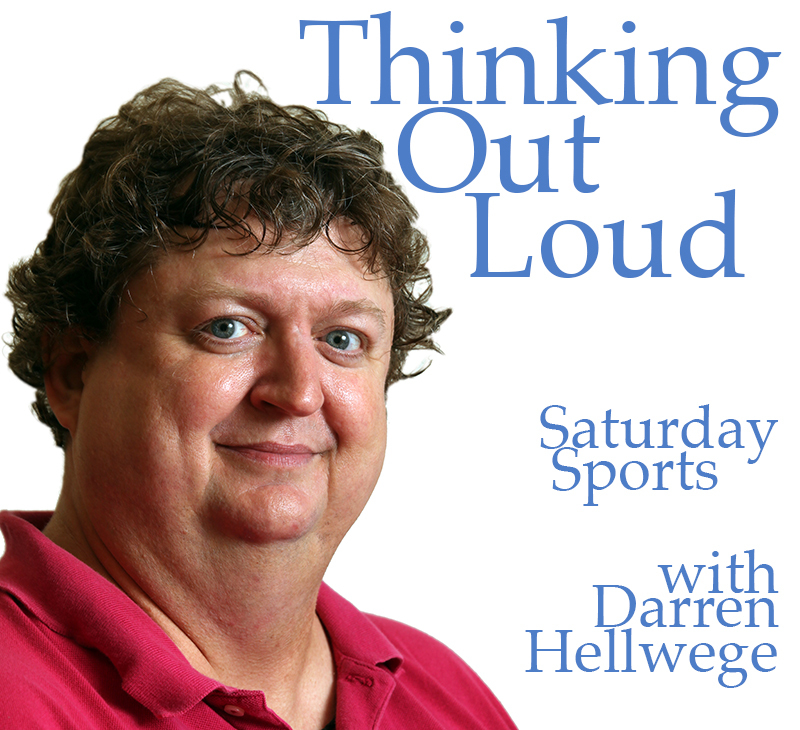 On the show host Darren Hellwege discusses the dismissal of Dorial Green-Beckham from the Missouri football program. He talks with Bob Fescoe of 610 Sports radio in Kansas City and we’ll hear cuts from the news conference with MU athletics director Mike Alden. We’ll also have coverage of the first scrimmage of MU’s spring football drills, and a big win on an important weekend for the Tigers women’s tennis team. 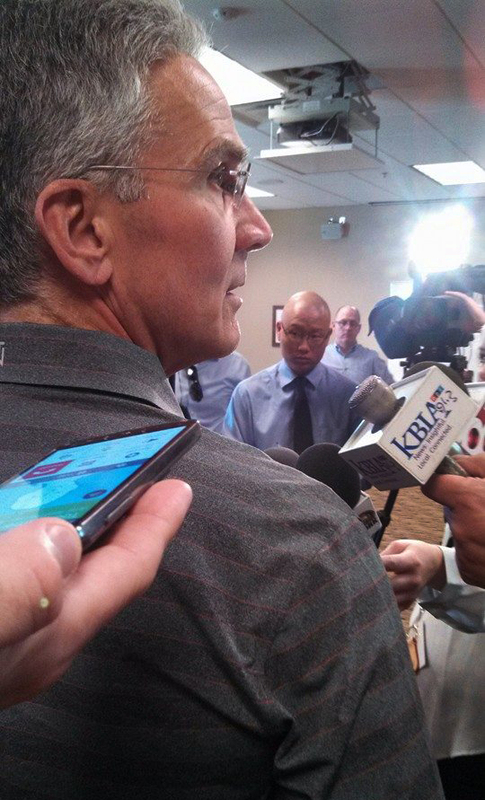 Mike Alden, director of athletics for the University of Missouri, talks with media on Friday, April 10, 2014, about the dismissal of wide receiver Dorial Green-Beckham from the Mizzou football team. Green-Beckham, a junior, has been involved in several incidents which Alden and coach Gary Pinkel said were not the behavior the university wants from its student athletes. Those chants will not be heard at Faurot Field anymore. At a news conference Friday MU Director of Athletics Mike Alden said the athletic department will not tolerate behavior like this from any student athlete. COLUMBIA — Columbia police announced Thursday that no arrests will be made in a burglary investigation involving Missouri receiver Dorial Green-Beckham. “Based on the information obtained during the investigation there will be no arrests made in this case,” Columbia Police spokeswoman Latisha Stroer said in a news release. Coach Gary Pinkel announced the junior receiver’s indefinite suspension Monday for an unspecified violation of team rules. The Missouri football team continued the spring training season with practice on Tuesday afternoon. Missing from practice was junior wide receiver Dorial Green-Beckham who has been suspended indefinitely for violating team rules. Coach Gary Pinkel voiced his frustrations on the issue but did not comment on what other actions will be taken with Green-Beckham. Starting linebacker Michael Scherer shares what he thinks the team needs to work on. 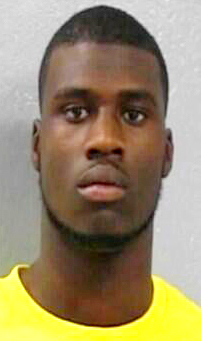 Missouri wide receiver Dorial Green-Beckham, shown in this January 2014 sheriff’s arrest photo, was indefinitely suspended from the team on Monday, April 7, 2014. Source: Greene County Sheriff’s office. COLUMBIA — The University of Missouri indefinitely suspended wide receiver Dorial Green-Beckham on Monday for a violation of football team policies. This is the second suspension for the junior wide receiver. Green-Beckham, along with teammates Levi Copelin and Torey Boozer, were arrested on Oct. 3, 2012 for possession of less than 35 grams of marijuana. Each player was suspended for one game following their arrests, and all three eventually pled guilty to second-degree trespassing. In January 2014, Green-Beckham was arrested as a passenger in a car that contained close to one pound of marijuana. No charges were filed. The Springfield, Mo., native arrived at the university to great fanfare in 2012. Rivals.com ranked him as the top player of the 2011-2012 recruiting class. Green-Beckham played an important role last season in Missouri’s march to its first SEC East title. He led the team with 59 receptions and 12 touchdowns. Averaging 15 yards per catch, for a total of 883 yards, he finished behind L’Damian Washington in both the total yards and yards per catch categories. The official release states that Green-Beckham will continue to have access to the school’s athletic resource center during his suspension.